While many folks are familiar with the Monster Hunter series of games, Bandai Namco's Gods Eater Bust title was largely overlooked in the States. That may, in part, have been due to it being a PSP only game. 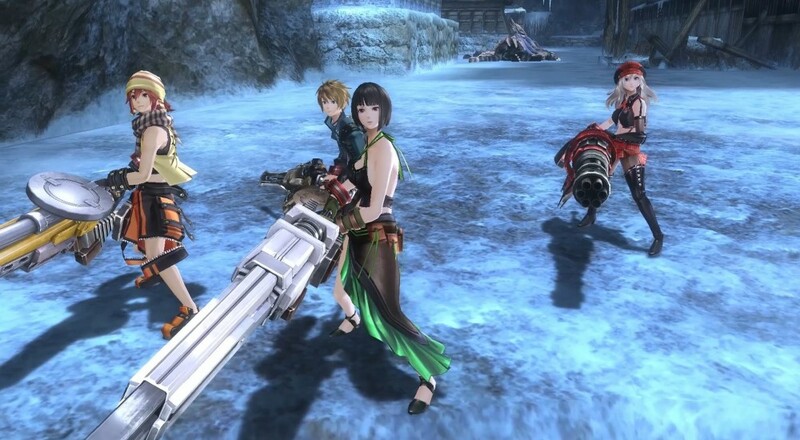 The remastered version, GOD EATER: Resurrection, was released yesterday on the PlayStation 4 and Vita, so perhaps it will be able to reach a wider audience this time around. Set in the far-off time of the 2050s, unknown life forms (called "Oracle Cells") have invaded Earth and are consuming all life upon it. These violent and highly-adaptable beings have been dubbed "Aragami" and it is your task to wipe them out using new weapons tech that is derived from the Oracle Cells. Team up with up to three other players online to you progress through the entire campaign and fell these monstrosities before they wipe out all life on the planet. If you need a few tips and tricks for how to battle these impressive enemies, check out the "Starter Guide" Bandai Namco posted on the PlayStation blog earlier this week. GOD EATER: Resurrection is listed as being released for the PlayStation 4 and Vita for $19.99. However, as of the time of this news article going up, there is only a listing for the Vita version in the PSN Store. While the game does support cross-play/cross-save for the two versions, it is not a cross-buy title. So, if you're interested in playing this game on the PS4, you'll need to wait a little bit longer until it does show up. The title will also be released on Steam on August 30, 2016. Update (6/30/2016): GOD EATER: Resurrection is now listed for PS4 on the PSN Store. Page created in 0.9940 seconds.